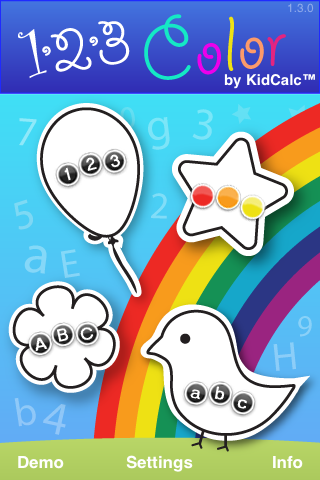 Today I am pleased to announce the release of 123 Color Talking Coloring Book, version 1.3, a companion app to my top ranked math learning game for iPhone and iPod touch, KidCalc 7-in-1 Math Fun. 123 Color is a talking coloring book that teaches numbers, upper and lower case letters, shapes, and colors in English, Spanish, French and/or German as kids play. In response to the most popular request by users, this third update to 123 Color Talking Coloring Book adds a gallery of drawings, displayed with cover-flow, just like the iPhone’s and iPod touch’s native iPod app uses to display album covers. 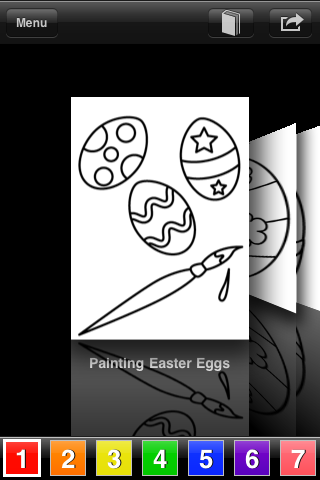 This timely update to 123 Color also adds 10 new coloring book drawings including many for Easter, bringing the total number of drawings to 52. 123 Color is brought to you by the creator of KidCalc 7-in-1 Math Fun, the top selling math learning game which has been featured on Apple’s What’s Hot list and Apple’s list of Apps for Valentines Day, and which is currently being feature on Apple’s list of Apps for Kids. 123 Color not only engages and entertains children with beautiful artwork, fun sound effects, rich music and the challenge of painting now more than 50 pictures, but it also teaches language skills with the help of clear, crisp voice-overs by male and female adult native speakers of English, Spanish, German, and French. Parents can select the English, Spanish, German, or French alphabet to be displayed and spoken, and parents can opt for numbers to be spoken in up to two of the four languages included. 123 Color is also a powerful tool for introducing children to Spanish (or English) as a foreign language. 123 Color by KidCalc 1.1 is on sale now for $.99 (USD) and available worldwide exclusively through the App Store in the Education category. 123 Color is a coloring book with a unique twist – 123 Color teaches numbers, upper and lower case letters, shapes, and colors as kids play! 123 Color not only engages and entertains children with beautiful artwork, fun sound effects, rich music and a challenge to paint a picture, but it also teaches with the help of clear and crisp voice-overs in English, Spanish, or even English and Spanish together, spoken by male and female adult speakers speaking in their native language! 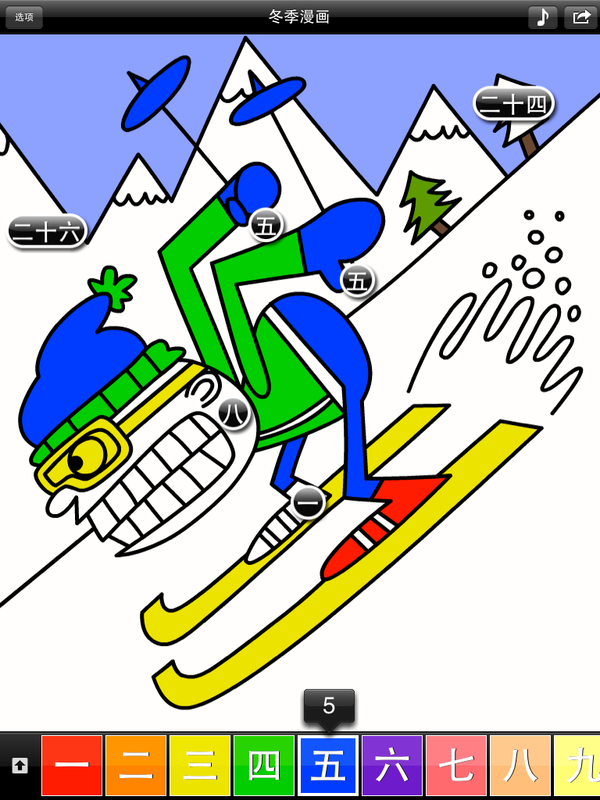 KidCalc’s developer, Steve Glinberg, has created another app that like KidCalc perfectly balances entertainment value to capture and hold kids’ attention with educational value. 123 Color excites and engages kids, it makes learning fun and easy, and it enables parents to feel great about the games their children want to play.